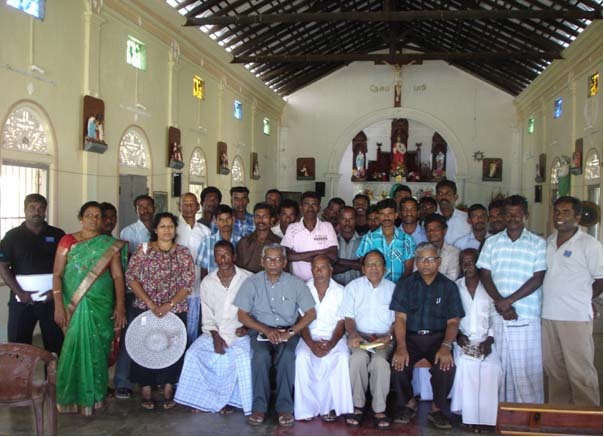 ISLF Directors, Dr. P. Thangarajah and Dr. A. Kandiah were on a mission to Sri Lanka in January/February 2012. One of the primary purposes of the visit of the Directors to Sri Lanka was to register ISLF as an INGO. The registration form together with the supporting documents was submitted to the Department of External Resources on February 22 2012. During the mission, the Directors met with the Chairman, Vice Chairman and Project Directors of Sewalanka Foundation (http://www.sewalanka.org) and discussed partnership arrangement between ISLF and Sewalanka Foundation. Several areas of collaboration between the two organizations were identified. During the mission, the Directors of ISLF were able to come into an agreement with the Sewalanka Foundation to implement a project titled “Income Generation to Widow Headed Families by Promoting Dairy Farming”. The phase I of this project will strengthen the livelihood of 30 widowed families in 2 villages in the Kilinochchi District of Sri Lanka. Under the project, each participating family will receive one cow, free of charge. 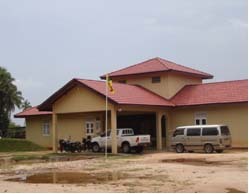 Priority 1: A small building for the fishermen cooperative society. Priority 2: A set of crab nets. Priority 3: A set of utensils to boil the crabs. 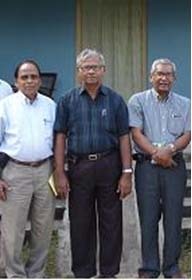 Figure 1- ISLF Directors Dr. P. Thangarajah and Dr. A. Kandiah with Professor A, Navaratnarajah, Vice Chairman, Sewalanka Foundation (Center). The members of the cooperative also requested additional assistance, particularly focusing benefits to women in the village who are virtually unemployed most of the time. Technical Training Center at this location. It will be a joint venture of ISLF and Sewalanka. The purpose of the Institute is to train GCE O Level and GCE A Level students in Business Management, Banking and Information Technology. The graduates will be awarded an Associate Degree in Technology. The courses offered will be 2 years in duration and will include compulsory courses in English Language during the first year. The Institute will be accredited to the selected universities in Sri Lanka and to a recognized technical institution in USA (such as the School of Business, University of Connecticut).